Palo Alto Networks delivers a family of next generation firewalls built with App-IDTM technology, which provides enterprise IT organizations with unprecedented visibility and policy control of all applications on the corporate network, regardless of port or protocol. This includes all encrypted SSL applications and any evasive applications not associated with specific ports or protocols. These advanced firewalls also include integrated real-time threat prevention, using innovative FlashMatchTM technology to stop spyware, viruses, worms, and other malware on the fly. 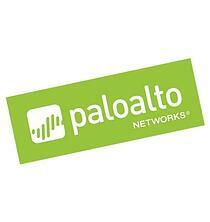 Palo Alto Networks firewalls provide graphical representation of all applications and users and deliver multi-gigabit performance even with a full traffic load.